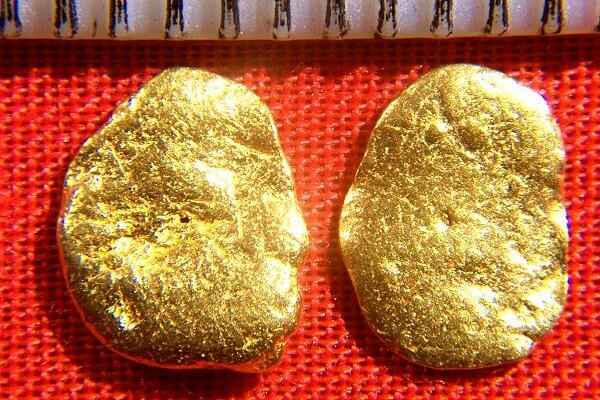 This is a gorgeous pair of natural Australian gold nuggets that have been hand selected to make earrings from them. The nuggets are thin and flat and are very similar in size and shape and color, making them perfect for soldering the earring backings onto them. 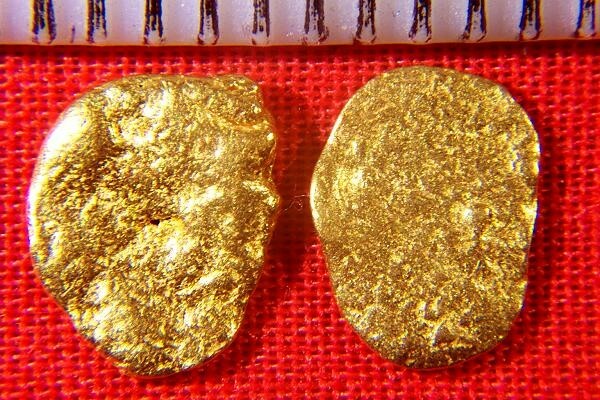 The nuggets have gorgeous color and are very high purity, approximately 95% to 98% pure (22 KT to 23 KT). They are hand selected jewelry/investment grade gold nuggets, the highest quality available. The size of both nuggets is 3/8" (9 mm) long. The weight of both nuggets combined is 1.3 Grams (20.1 Grains). The nuggets come with a certificate of authenticity.